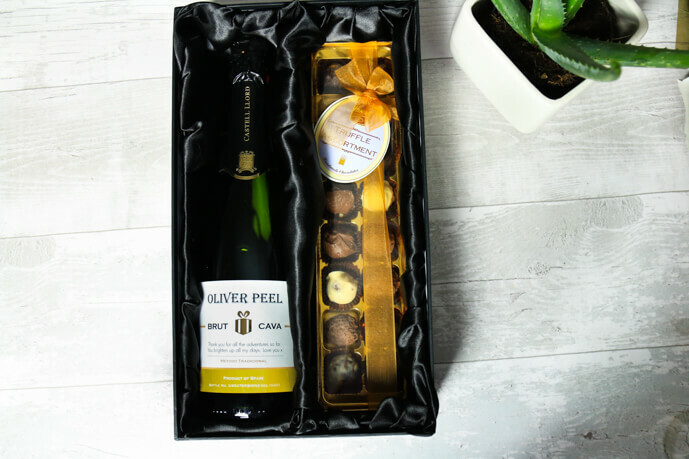 I think personalised gifts show that someone has really put some thought into their present for you, which is why they are so special. 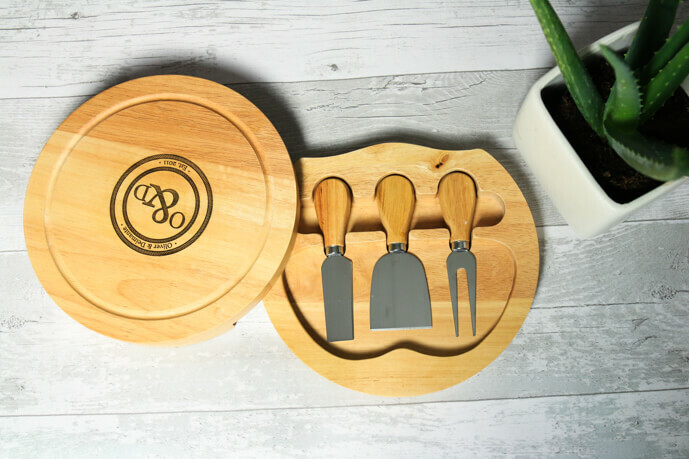 For Valentines day I've got the boy some personalised gifts from I just love it. I couldn't post this post prior to Valentines day because I didn't want him to see it! Here's some background information: we both absolutely love cheese and chocolate. 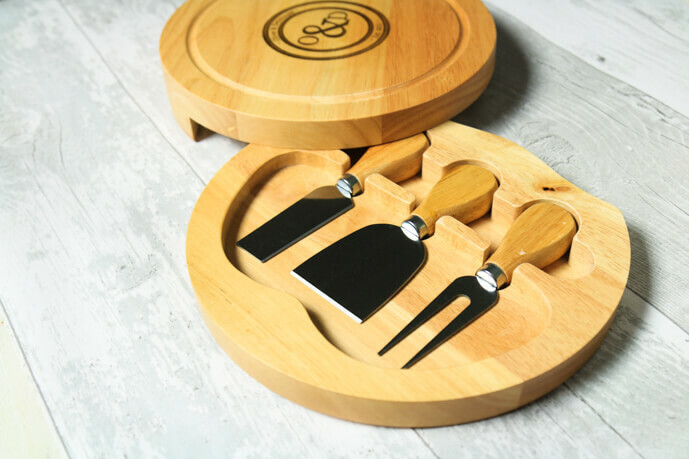 I've got him a personalised cheese board and knife set, a personalised bottle of Cava and some delicious truffles. I knew he would love this gift especially since I've bought a delicious selection of cheeses to go with it! There were so many things to choose from on the website but since we both love food I thought this was most appropriate. 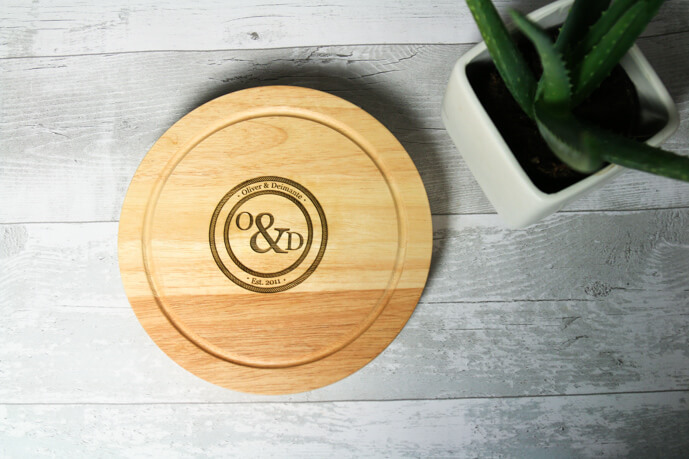 I absolutely love the cheese board, it has our initials, names and the year we started going out on it. It's very sentimental but because the design is quite minimalist and cool it's not cheesy ( see what I did there?!). The boy also loves the board and I know we'll both cherish it and use it excessively for years to come. Instead of getting him a card I wrote a personal message on the bottle of Cava. 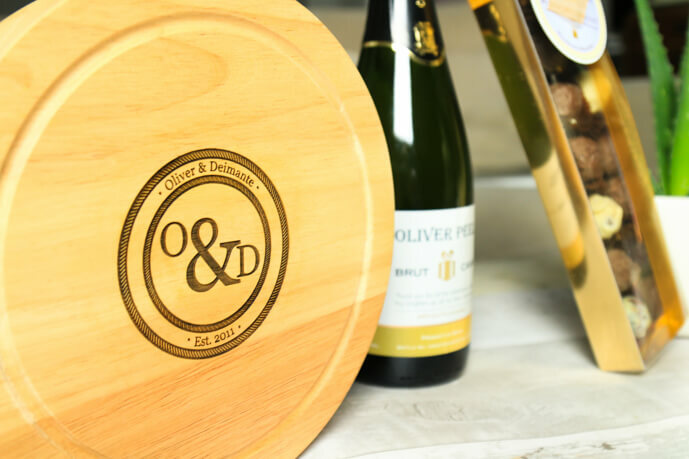 It's a really luxurious personalised gift, I actually would have loved to receive this myself! It came in a lovely black box with a satin black lining. I really love the packaging and the fact that it's black because it doesn't make the gift feel girly or tacky. 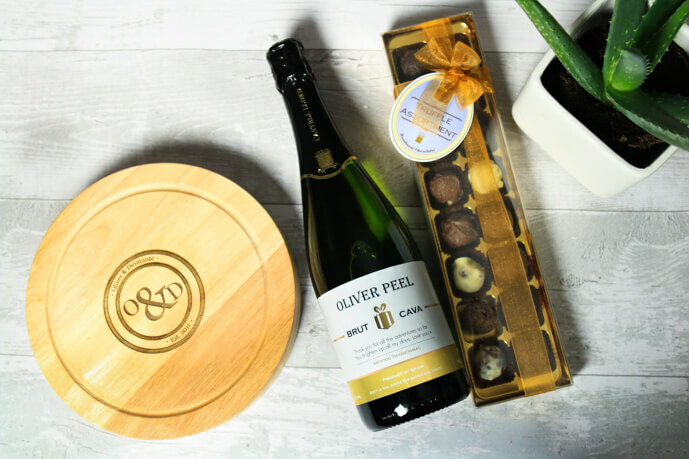 I Just Love It features many different types of personalised gifts suitable for mothers day (which is just around the corner! ), birthdays, anniversaries and any other special occasion you can think of. 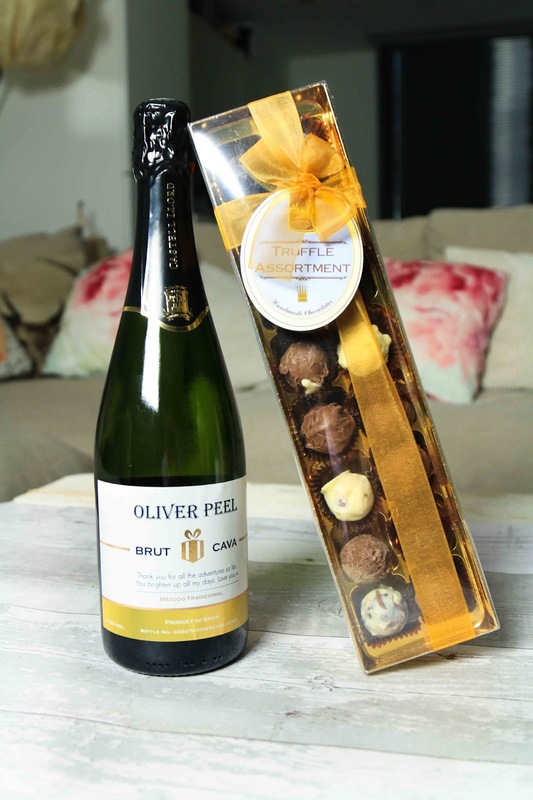 As well as gifts they also offer experiences such as afternoon tea, or a spa days. I was really impressed with the large selection of items available to choose from there's something on there for everyone.